Yesterday I took Baby to a pantomime. It was one activity that I wanted to have as our family tradition. 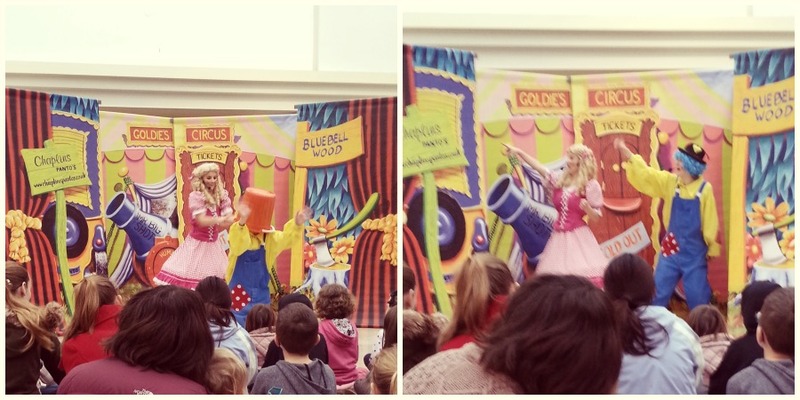 A theatre company put on a free performance in our local shopping centre, which was ideal as Baby wouldn’t have the patience to watch a whole panto. So we did a little shopping (and bought The Night Before Christmas book, that you can record a voice onto – perfect for Daddy to do! ), then we gathered by the stage. The panto was Goldilocks’ Golden Circus, I can’t say I am familiar with it, but Baby was engrossed. 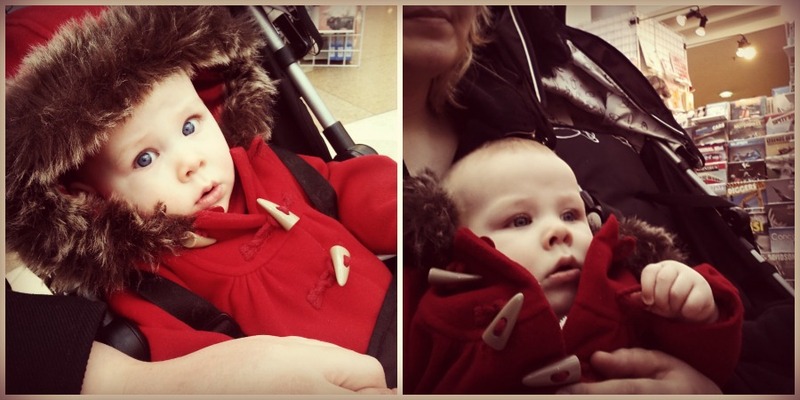 We only watched for about half an hour as Baby obviously didn’t understand what they were actually saying, but it was so lovely to sit together and have a little moment, in the most bizarre of places, a shopping centre floor. 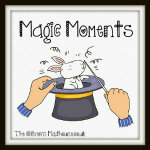 However strange, it was a moment of magic for us. awww honey this is fab, what a super shopping centre you have!! i love baby’s face watching, so so cute!! Ah good old panto stuff, great fun for all ages.